“OHH SHYZA” AVAILABLE NOW! AVAILABLE EVERYWHERE! Welcome to the official page of D The Delinquent! It’s been a long journey, but the road continues. Original member of III GRAND, co-founder of DCR Ent / Gutta Boyz, DJ, Photographer, Filmmaker, producer/editor/mix/master engineer of music and film, and small business owner/operator. Also an artist, graphic designer, entrepreneur, promoter, writer, etc etc etc! The sky is not a limit for Delinquent. 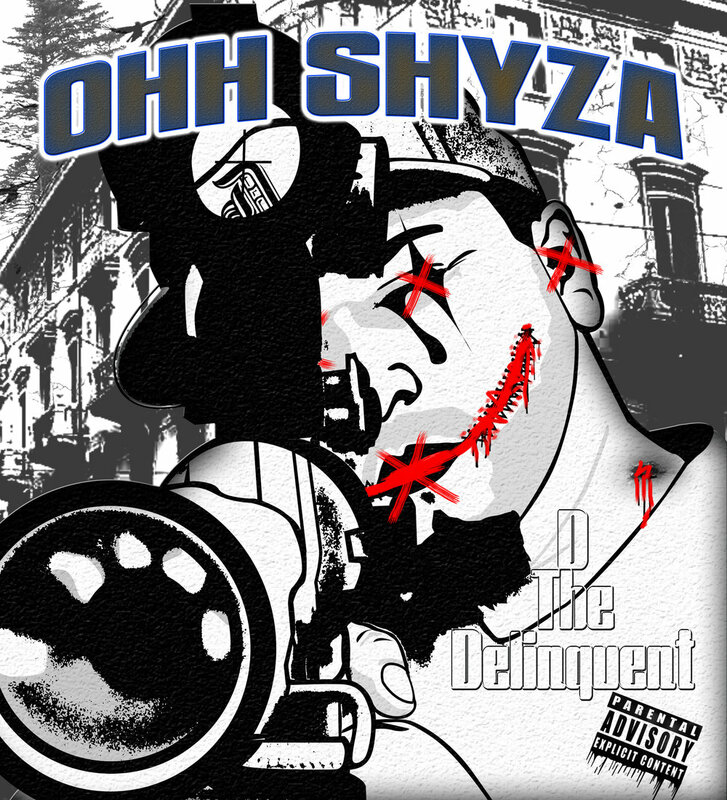 November 1, 2018 marks the day D the Delinquent released a 2nd solo album independently! Available NOW! EVERYWHERE! D The Delinquent continues to create works of art stemmed/inspired by real life experiences while being both a positive and effective role model to his community. Delinquent is a philanthropist and a true artist. A good human being while at the same time… one of the realest ones we’ve ever seen. Delinquent can paint detailed fictional and non-fictional stories/events in his music. The delivery is what sets him apart from other artists in the industry… and the world. The unique blend of old school and new school with a truly original sound cannot be done any better than Delinquent. Take a listen for yourself. You will either hate it or love it, but will always appreciate it. There is passion and dedication in each and every song. Tune In. Stay Tuned. Enjoy The Ride. Get your copy of "Melodic Battlefield Pt.1" now at the following online stores.